★★★★☆ Super quiet at setting 5/10. Love the laminar air flow and air purification. Definitely a step up from my old costco fan! The design is great too, though I wish the materials were slightly higher quality. Overall no complaints! ★★★☆☆ The listing was originally very deceptive in leading people to believe this is simply the refurbished model. It is not. This is the older generation model that doesn't have Wifi connectivity, so the app cannot connect to this. I kept the fan as it's still a great fan, but was hoping it would match the other Dyson (wifi-enabled) models we have here. In summary: great fan, but not as great of a bargain given that it doesn't have wifi. The listing has been updated, but it's still not explicit. ★★☆☆☆ This is not the latest model of the Dyson AM11 product. By simply saying it's "refurbished" what they're leaving out is that this is the older generation model that doesn't have WiFi connectivity, thus making the product you get not that great of a value after all. After I complained to Dyson about it they said "thank you, we'll be sure to make that clear" and that was it. 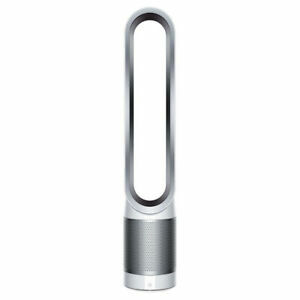 ★★★★★ We own 2 of these Dyson fans. They are greatly designed, & put out a lot of cool air. We enjoy the hepa filter, since we do have five dogs. They are very quiet, even on the top speed, of #10. Dyson products, are a bit pricey, but they are definitely worth it. ★★★★☆ I love almost everything about this fan. This model doesn’t come with WiFi so you can’t control it remotely or on mobile devices. And they have yet to add HomeKit & Siri support.